This Saturday marks Gary Payton's 43rd birthday. When you talk about the best defenders and trash talkers on the court there's no doubt The Glove's name comes to mind. GP entered the League in 1990 with the Seattle Supersonics and immediately made an impact, earning nine All-Star appearances, making two Olympic teams, winning Defensive Player of the Year in 1996, and finally earning a much-deserved ring with the Miami Heat in 2006. During his tenure in the league, Payton was also known to rock some dope Nikes, PE Jordans, and even his own signature series. 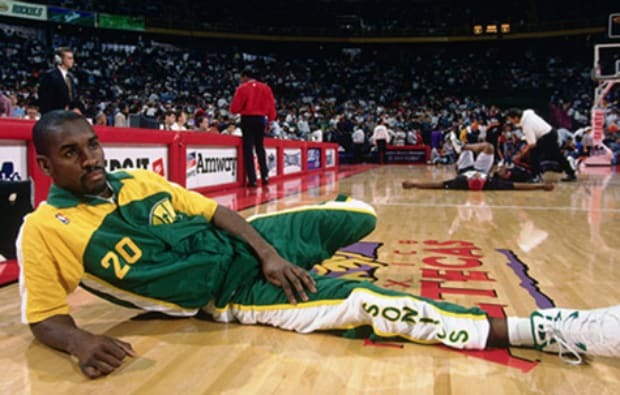 Scroll through our gallery here to check out Gary Payton’s Greatest Sneaker Moments.